Copenhagen/Berlin, September 2, 2015 – The Bonial.com Group (www.bonial.com), the leading international provider of digital circular advertising and part of German media company Axel Springer SE, announced today its expansion into Denmark with the launch of Bonial.dk (www.bonial.dk). Bonial.dk provides a mobile app and website that gives Danish consumers a digital alternative to print circulars. 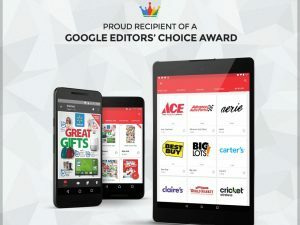 The digitized format pulls local retail circulars based on the user’s location, allowing shoppers to simply select, search, browse and share the circulars they find interesting. Aiming at top retailers from across the country, Bonial.dk replicates the print circular experience in a digital format, while providing new functionality that can’t be incorporated into print. 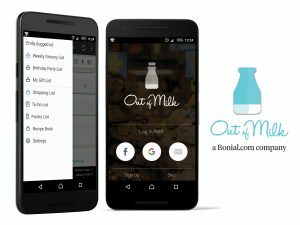 Shoppers can page through the digital version as they normally would, but they also can search by product or brand to locate local store sale items, create shopping lists, create alerts for items, share deals with friends on social media, and even view videos or other product information. For retailers, Bonial.dk provides new opportunities to reach circular readers who are migrating from print to digital, as well as a new generation of shoppers who are more likely to shop using their mobile devices or tablets. Bonial.dk will be managed by the team of Ofertia.com. Bonial.com Group acquired the majority of Ofertia in April 2015. “Currently we are reaching 20 million users globally within the Bonial.com Group and with our apps repeatedly ranking #1 in international app stores. We have proven to be a must-have for both retailers and consumers in our other markets. There we are already working for most of the leading retail chains, being the market leader in nearly all important retail markets. We’re excited to now bring this technology to Denmark,“ says Jaume Betrian, Executive Director and founder of Ofertia.com. The Bonial.com Group is currently present in nine countries with kaufDA in Germany, Retale in the U.S., Bonial in France and Sweden, Ofertia in Spain, Mexico, Chile and Colombia and Guiato in Brazil. The group has chosen Denmark as the tenth country to continue its Scandinavian expansion due to the strong level of mobile Internet usage, combined with the high volume of paper brochures sent per household. According to the first Pan-European Door Drop Census, (published by the European Letterbox Marketing Association, ELMA), Denmark distributes up to 3.4 billion brochures per year for a total population of 5.6 million people. The study also showed a ranking where Denmark is the third country in the world in terms of paper brochure distribution with 27 brochures per household per week. The European average is 12 brochures per household per week, so Denmark distributes more than twice as much as the European average. ELMA researchers have analyzed the amount spent on physical door drop distribution as a percentage of the total amount spent on advertising. According to the results Denmark leads the ranking with 15% for door drop distribution in comparison to total advertising budget – the European average is 6.26%. Furthermore, Denmark has huge Internet and smartphone penetration rates. According to the World Bank, Denmark has an Internet penetration of 89%, while the penetration of smartphone devices is approximately 87.5% – this means Denmark ranks # 3 in a global comparison. 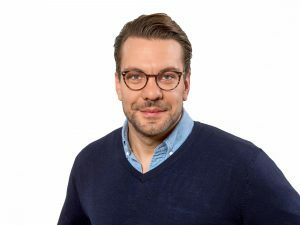 With the launch of its services in Denmark only two weeks after its launch in Sweden, the Bonial.com Group strengthens further its leadership position in the European market.